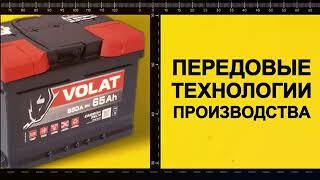 1AK-GROUP offers batteries under its own brands "Enrun", "Volat", "Zubr", "Thomas", "Atlant", "Eurostart". All brands 1AK-GROUP are registered trademarks and protected by law. ENRUN are maintenance-free batteries with the lowest self-discharge rates. ENRUN batteries are manufactured with the use of enhanced plates with 3D diamond-like lattice geometry, which securely hold the active mass on the plate, preventing it from falling off. ENRUN line includes a wide selection of products, allowing you to select a matching battery for any European car. Battery fast charging, long holds a charge, suitable for cars with powerful engines and demanding suspension. The innovative technology used in the manufacture of VOLAT batteries allows to maintain a sufficient level of charge over prolonged periods time. VOLAT batteries are charged 1.5 times faster due to the application of carbon additives in the manufacture of negative plates. VOLAT batteries include a complete line for all types of vehicles, including European, Japanese, Korean cars, as well as freight transport and agricultural machinery. ZUBR batteries are designed for vehicles with an increased demand for cranking capability and with an increased number of power consuming equipment. Significantly increased weight of the active mass allows to achieve high capacity and high cranking capability. 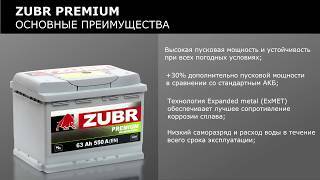 Battery "Zubr" is ideal for use in vehicles equipped with diesel engines. THOMAS batteries are maintenance-free. The PowerFrame technology, which is used for the manufacture of lattices, ensures greater durability and longer service life than other lattice designs. As a result, the lattice is 66% more durable and corrosion resistant. The design of PowerFrame lattices ensures a high starting capacity and up to 70% better conductivity as compared to other technologies. TTHOMAS batteries have been designed for exceptional performance over a prolonged service life. Eurostart batteries are a simple and reliable solution for vehicles equipped with standard electrical equipment. Eurostart batteries feature increased vibration resistance and protection against overcharging. Eurostart batteries can withstand increased voltages in the on-board network of up to 14.8 V.
Eurostart batteries are characterized by a lower rate of water boiling away from the electrolyte in the process of electrolysis, which reduces the need for their maintenance. ATLANT product line has been designed specifically for vehicles of economy class, which are operated in mild climatic conditions. It includes both batteries for passenger cars of European transport, and heavy duty batteries for trucks and agricultural machinery. ATLANT batteries are made of plates manufactured from lead and calcium alloy (Pb/Ca) with the use of Ex-Met technology. All batteries of this product line are equipped with a charge and electrolyte level indicator. ATLANT brand is a rational solution for your car.